The Nigerian National ship HERBERT MACAULAY in Tilbury. She was built in 1957 with a 8,321 grt. 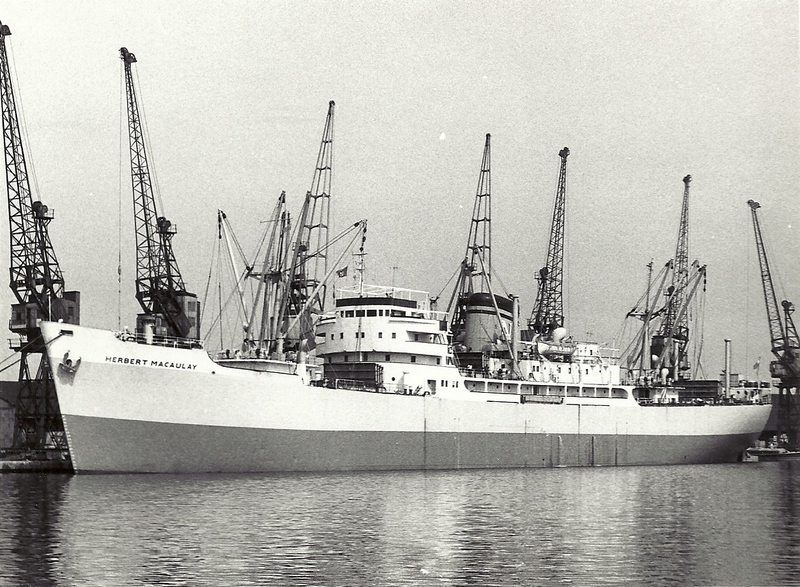 Nigerian National Shipping Line Ltd, of Lagos, was set up in 1957 and owned its first vessel in 1959. The first shareholders in the company were the Nigerian government, Elder Dempster Lines and United Africa Co (Palm Line), but in 1961 the government became the sole shareholder. The company, which went pear-shaped in the 1990s, was well known at Tilbury, and every one of its several vessels were visitors to the port. 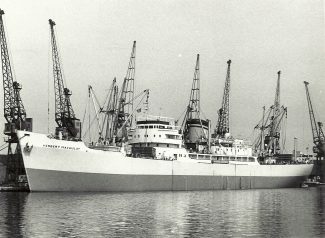 One of the earlier vessels of the NNSL fleet, HERBERT MACAULAY (8449 tons gross) started life in 1957 as the British freighter SUSSEX TRADER, owned by Trader Navigation Co Ltd of London. Bought in 1964 by NNSL, HERBERT MACAULAY was named after the “father of Nigerian nationalism” … all of the company’s first few vessels were named after notables in Nigerian history. This vessel stayed with the company until 1976, when it was sold and with another name and another owner it was broken up in Pakistan in 1982.